Learn how to grow okra from seeds when home vegetable gardening! 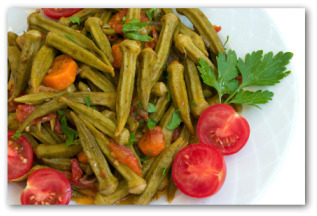 Also tips for how to plant okra, and tips for harvesting okra in your garden. 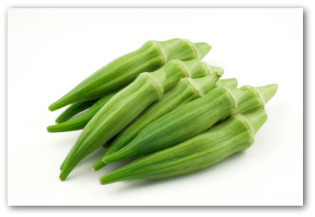 Okra is a decorative growing plant which is not so surprising since it is a type of hibiscus. 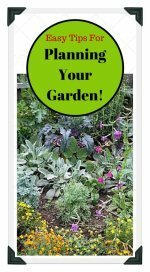 A 15 foot row of plants in flower and the edible portion or pod, makes an attractive hedge that grows from 3 to 5 feet tall. If you are searching how to grow okra and do not have space for the planting dimensions mentioned above, you can cultivate several plants as a background among annual flowering plants. This vegetable gardening technique will supply enough okra to add to delicious soups and stews along with tomatoes and peppers. Discovering how to plant okra is a Southern tradition. Okra is a favorite crop in Southern gardens, where it grows exceptionally well. 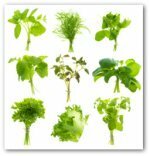 This warm-season vegetable performs best in warmer climates because it is a native tropical plant that thrives on warm temperatures. ‘Clemson Spineless' grows 4- 5 feet tall and is a heavy yielder. 'Perkins Spineless' is a dwarf variety that grows to 2 ½ to 3 feet high. The plants require full sun exposure. Plant in well-drained, organic enriched, fertile soil. Planting six plants will give you plenty of okra over a long season for cooking in homemade gumbos, stews, and soups. Use a fertilizer such as 5-10-5, at a rate of about 1 pound per 50 square feet. Plant after the soil and weather have warmed in the springtime. Direct seed in the South by sowing seeds 1 inch deep, about 3- 4 inches apart. In the Northern states, choose a fast-maturing variety and start seeds indoors. Give okra space to grow; 36 to 48 inches between rows. Thin seedlings to 15-24 inches apart in the row. A pitfall to avoid with harvesting okra is letting the pods grow too large. In short-season areas, start seeds in small pots about 5 weeks before you would plant beans or corn in your area. Set the seedlings outdoors in the vegetable garden when the soil is thoroughly warm. If you have difficult time getting okra to sprout, here is a vegetable gardening tip: first freeze the seeds in ice cubes and then plant the cubes. The ice cube method has raised the minimum germination standards from 50 percent to as high as 80 percent for gardeners trying this method. Drop a seed into each compartment of the tray. Fill the tray half-full with hot water. Freeze for a couple of days. Then plant the ice cubes. If your okra plants get scraggly looking toward the end of the season, try the following technique to revive the plants. When the plants begin to slow production mid-season, cut off the top one-third of the plant. The sideshoots will grow vigorously afterward and produce a whole new crop. Pick the pods when they are only a few inches long, or they will be too tough to use. During warm weather, daily picking is necessary so pod production will not stop. Pick with a length of stem so the pods won't lose their gelatinous juice. 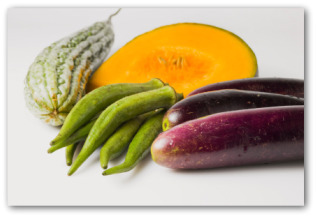 To keep the plant producing, let no pod ripen on the stalk. 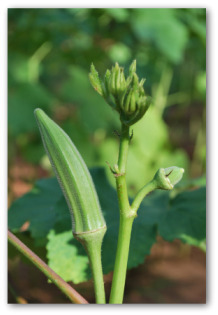 As you learn how to grow okra, you will find that the young pods are more nutritious and tender.